Your maids will look beautiful in Allure Bridesmaids 1564! 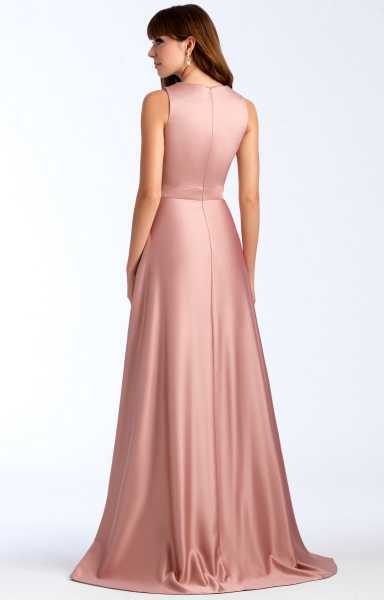 This lovely satin back crepe bridesmaid dress showcases a deep V neckline with thick straps and a covered back. The long A-line skirt puts a figure flattering finish on this stunning gown!